I can think of no better way to begin the PianoParents.net blog than writing about the number one, most popular piano piece of all time. The very reason many people dream of putting their fingers on the keys in the first place. This darling of piano students all over the world receives millions of downloads and internet searches every year. Decade after decade Beethoven’s ‘Fur Elise ‘ stands as the undisputed champion of the piano classics countdown. And that’s no small feat as there are literally millions of pieces in the piano repertoire. ‘Fur Elise’s ‘ music delights the ears and captures the imagination of just about everyone who hears it, but did you know that there’s a great mystery behind this piece of music? A story that’s bound to make you love this little gem of Beethoven’s even more. Even Ludwig van Beethoven’s birthdate is something of a mystery. Records show that he was baptized on December 17, 1770 but his actual birthdate is not known. His father Johann was a musician (and a drinker) his mother (according to Beethoven himself) was a kind woman. The Beethovens had seven children, only three of the boys survived and Ludwig was the eldest. Beethoven had a tough life as his father was a strict taskmaster. So the story goes, that Johann saw that his son had talent and he was hoping to capitalize on that talent much as Mozart’s father was able to capitalize on the talent of his prodigious son. However, young Beethoven’s gift was different that of Mozart’s and his father could not show him off in the same way. This did not bode well for Beethoven and thus his childhood was not easy. 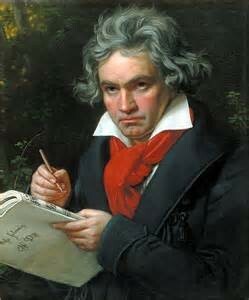 Fur Elise was written when Beethoven was in his late twenties a was particularly difficult period in Beethoven’s life. He had begun to have serious his hearing problems, as a result he became depressed and withdrawn from people. Some historians even speculate that Beethoven may have suffered from Bipolar Disorder. “Fur Elise” was composed during this time (April 27th 1810),. however the piece wasn’t published until 1865, 38 years after Beethoven’s death. Whether he wanted to publish the work at all or keep it a secret is the first mystery. The third and by far the most interesting mystery is, for whom was the piece written? 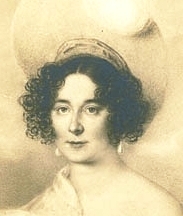 It is said that the piece was written for Therese Malfatti. Beethoven was in love with Therese and he wanted to marry her. Therese was from a wealthy family. She turned down his proposal and married someone else. Beethoven never married. Other historians subscribe to the idea that the piece was written for Elisabeth Rockel an opera singer with whom Beethoven was friends. Still others reject both of these theories and say that “Elise” is just an endearing nickname like sweetheart. As you can see there is a lot of mystery surrounding “Fur Elise”. The last and certainly the least of the mysteries is, why is the piece so popular in the first place? It’s not Beethoven’s most sophisticated piano music. It doesn’t compare in length or complexity to so much of his other music. Yet “Fur Elise” continues to endure as the icon of piano music. Perhaps because of the mysterious and fanciful stories that swirl around it. Maybe it’s the simple beauty of the music or the fact that it is not difficult to play that keeps it in the number one spot. I have played and taught this piece continuously throughout my piano teaching career (as your piano teacher undoubtedly has). I always wonder, what Ludwig von Beethoven himself would think of his little piece being so famous? Would he be happy? Amused? Angry because he never wanted us to hear it? This is something we will never know. It will remain a mystery of music history. * A Bagatelle is a musical form. Many pieces are called by their musical form and the key of the piece. For example “Sonatina in C Major”. If you like this post why not subscribe to our newsletter. Next > “Thanks, Mom and Dad” 10 Reasons Your Child is Thankful for Muisc Lessons.